1. 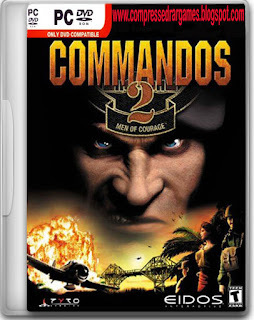 Download and Install Commandos 2 Men of Courage (Click Here to Download Game). 2. After Installing Commandos 2 Men of Courage, Download the Crack (Link Below). 3. Once you download the Crack file, extract it using winrar. 4. After extracting you will find a folder named "commandos2-nocd-1_0-ENG". Open it and copy every thing from the folder by pressing Ctrl + A then Ctrl + C.
5. Locate the game directory (where the game is installed). 6. Paste the file by pressing Ctrl + V.
7. Play game from desktop.